Rob writes: Birds & Blooms Magazine has been working on a really cool new project with Kenn and Kim Kaufman. They have produced the first online video workshop in their Backyard Birder series! All About Hummingbirds teaches participants about the amazing lives of hummingbirds as well as how to attract them to your backyard. After a great introduction video, the workshop is broken down into 3 sections - "Fascinating Hummingbirds", "Hummingbirds in Your Backyard", and "Gardening for Hummingbirds". Each section contains an amazing amount of material to teach you everything you need to know about hummingbirds. The videos are both informative and entertaining, and the "Did You Know" sections offer some fun additional hummingbird facts. 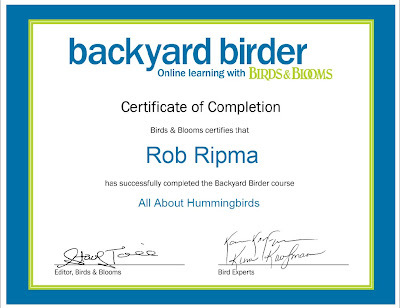 I was very impressed to see that this workshop covered all of the most common questions that I get asked by my customers at Wild Birds Unlimited and I personally learned a lot of new information in the "Gardening for Hummingbirds" section. It would be easy to overlook the "Additional Information" section but that would be a huge mistake. 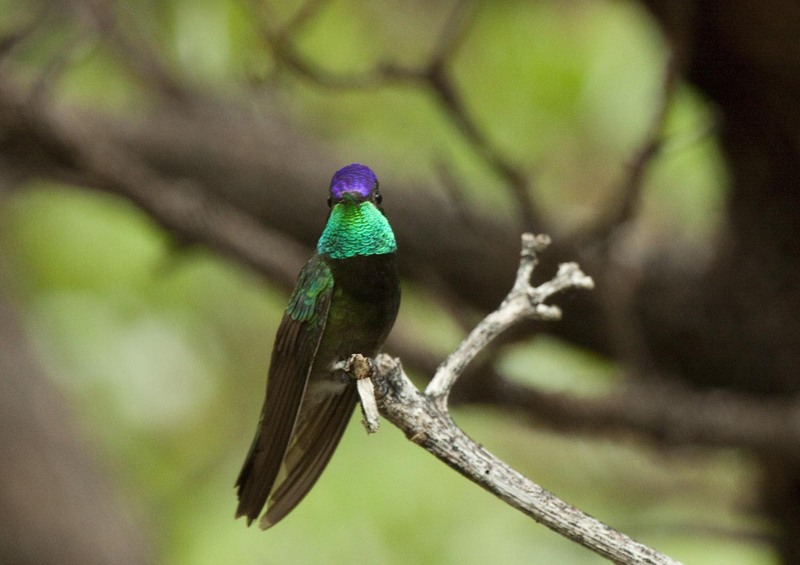 The "Hummingbird Videos" are absolutely amazing and the "Expert Q&A" gives you quick answers to common hummingbird questions via short videos from the Kaufmans. The "Bonus Materials" offer downloadable PDFs that are extremely well laid out and very informative. I especially like the 10 Best Hummingbird Blooms download. I would recommend this workshop for anyone that would like to attract hummingbirds to their yard. 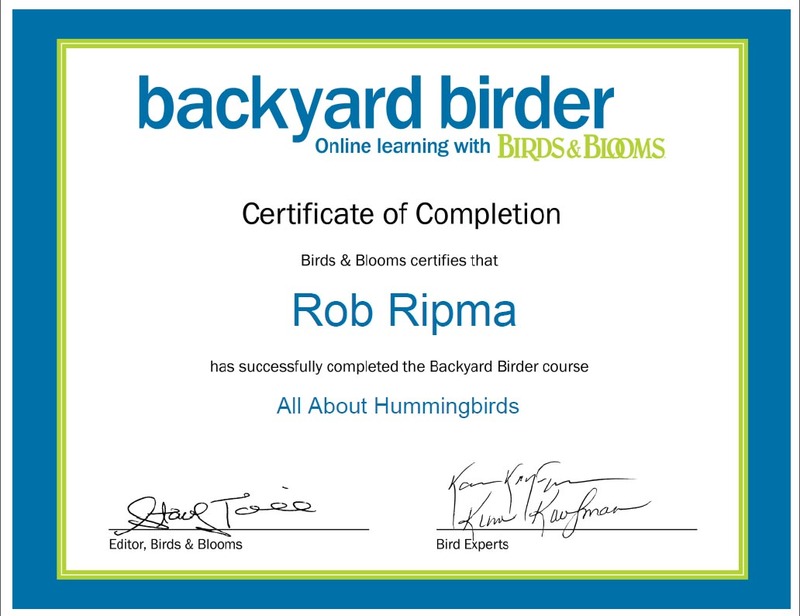 Even experienced birders that know all about hummingbirds will learn a lot during the gardening sections of the workshop. The workshop is $35 and can be purchased by going here: http://www.birdsandblooms.com/Become-a-Hummingbird-Pro. NuttyBirder.com will also be offering a contest to win a free workshop. More details will be coming very soon so stay tuned!